A Close Up of Barielle's "Blackened Bleu"
Thanks for looking & hope you liked! This is one of my favorites from Orly!! Orly - "Androgynie" from the Holiday Soiree Collection a black jelly glitter. This is two coats over a black base. The most adorable little collection ever!!! 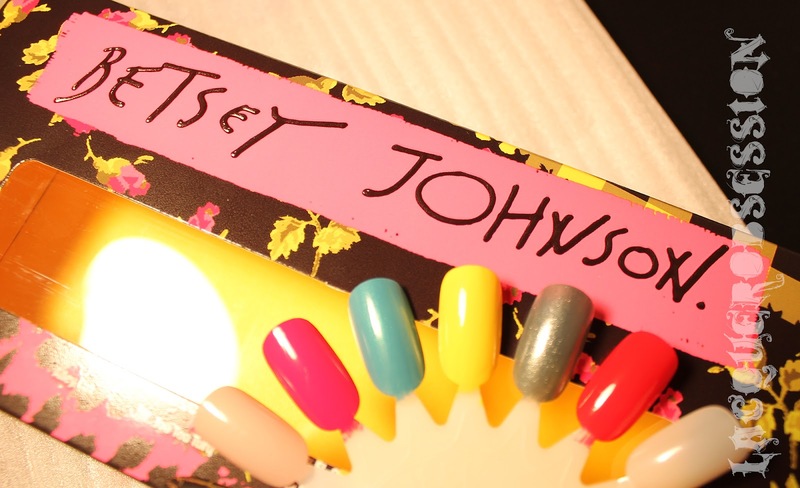 (Left to Right) "XOX Betsey", "Alley Cat", "Too Too Turq", "Yellow My Name is Betsey", "Son of a Gun" and "Pushing Your Luck". Here's "XOX Betsey" & "Alley Cat". Check out the rest of Betsey Johnson Polishes at Sephora online. 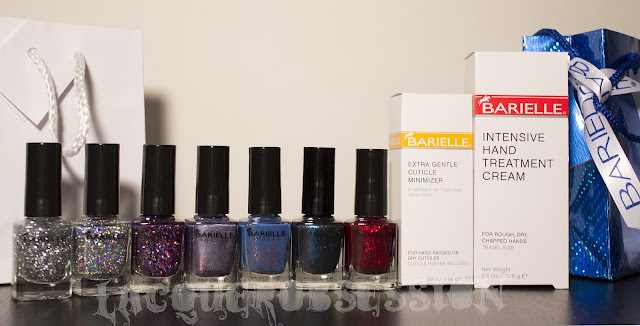 Soooo I got some awesome samples from Barielle last week and the first I wanted to try was "Falling Star" I love it!!! Falling Star - Marine Blue with gold glitter .. two perfect coats of pure magical combination of blue and gold!! Hope you girls like them!! Disclosure: This product was sent to me in exchange for an honest review. 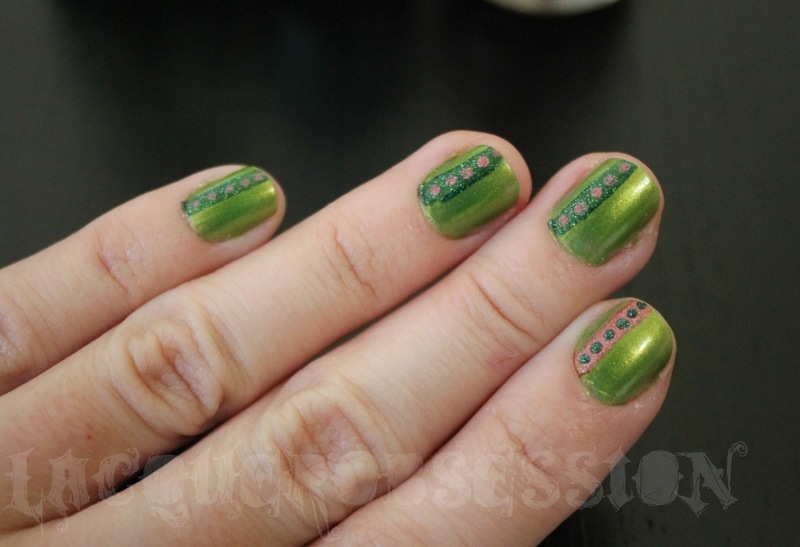 Here's a bright green manicure I did for St.Patricks! 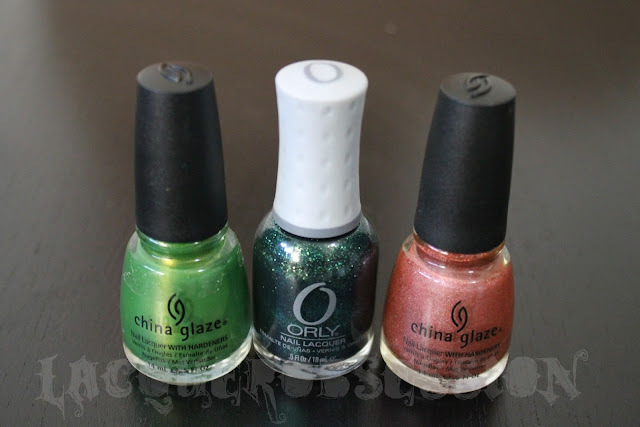 China Glaze "Cha Cha Cha" with stripes and dots with China Glaze "Digital Dawn" and Orly "Meet Me Under The Mistletoe"
Thanks for looking & Happy Lacquering! Sally Hansen Xtreme Wear "Gray Area"
Sally Hansen Xtreme Wear "Pacific Blue"
I used China Glaze "For Audrey" with polka dots in Essie "Merino Cool" and OPI's "Skulls & Glossbones". Happy Lacquering my sweet followers!! !